Occupy STL – Show Me State Soldiers. Saint Louis is doing what it does best, showing and proving. An amazing, well-organized occupation of Keiner Plaza in downtown STL is deepening it’s roots and preparing to settle in. The Organization already has a few marches under their belts and planning continues daily. The main stream media will repeatedly state that the nation wide Occupy movement has no central message. The message is very clear to most, and the protesters in Saint Louis lay it out very well with no chance of confusion. Younger and Older Americans of all races are coming together to make their voices heard. WE, the 99% are hereby taking action against the greed and corruption of the richest 1%; the bankers, politicians, and corporate persons that govern our nation. Like our brothers and sisters in Tunisia, Egypt, Greece, Spain, and Iceland, we plan to harness the power of mass occupation to restore democracy and justice in America. We reject the economic violence perpetrated against the people of the world and encourage the use of nonviolent means to achieve our ends and maximize the safety of all participants. We proudly stand in solidarity with those whose peaceful Wall Street occupation seeks to expose the greed and hubris that has sold off the “American Dream” in exchange for executive bonuses and political kickbacks. 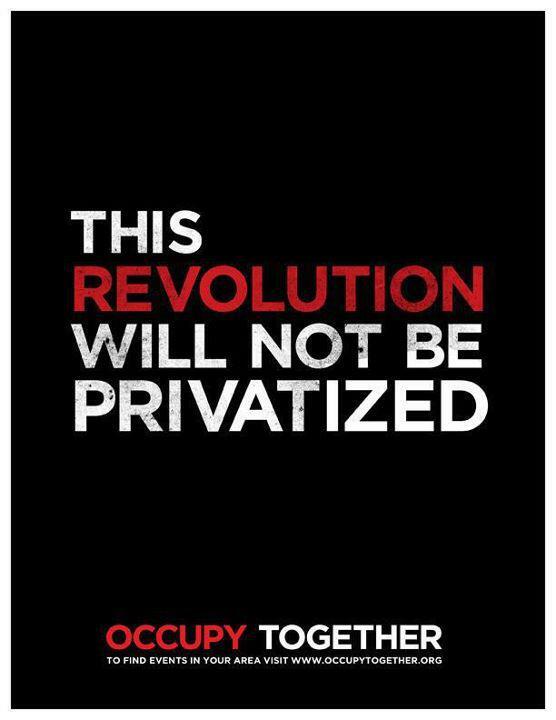 ← Occupy Wall Street, Money Talks 99% Walks. Awesome!!! I can’t wait to join you guys!